The Foggy Bottom and West End Neighborhood Block Party, which annually brought upwards of 3,000 people to I Street to interact with small businesses and GW representatives, will not be held this year. 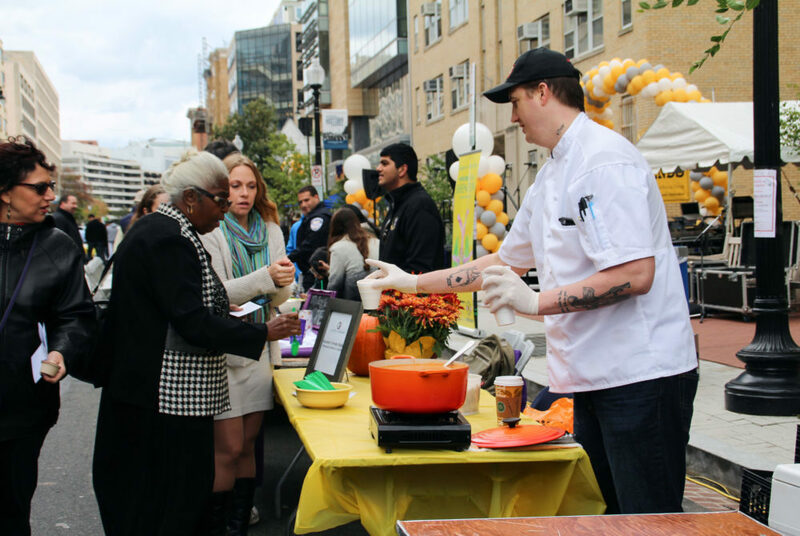 After 14 years hosting a street fair in Foggy Bottom, the University decided that this year the party’s over. The Foggy Bottom and West End Neighborhood Block Party, which brought upwards of 3,000 people to I Street each year to interact with small businesses and GW representatives, will not be held this year as officials shift focus to smaller community events, the University’s top community relations official confirmed last week. 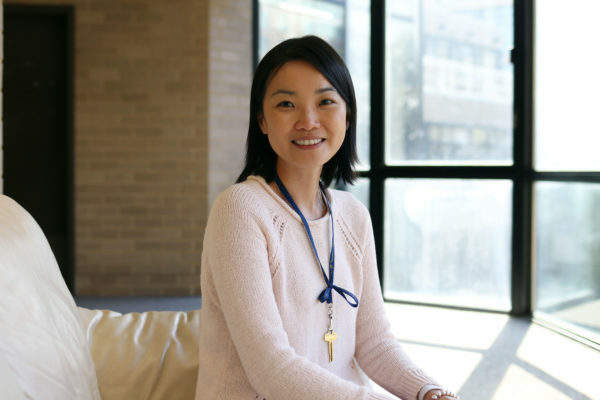 After three neighborhood outreach staff left the University in 13 months, community members said GW has held fewer events, potentially limiting important interactions between residents and students. Renee McPhatter, the assistant vice president for government and community relations, said officials analyzed community events over the last year to determine which gatherings were most effective in engaging the community. The block party was designed to informally help neighbors learn more about GW and its resources, she said. She said in recent years it “became more difficult to schedule the event as intended” after fall break began last October and this year Colonials and Alumni Weekend, set to be held this weekend, were combined into one event. The block party was held Oct. 16 last year, during Colonials Weekend. At the party, GW, small businesses and neighborhood organizations set up booths to inform the community about their events and resources. Patrons could also snack on food from local vendors and listen to live music and dance performances, community members said. Up until this year, the University also hosted an annual senior prom for senior citizens and students with food, dancing and entertainment, according to GW’s website. The event was not held last spring. Recently, senior prom had been held off campus, last year at The Howard Theatre, which made it a challenge for students and senior citizens to connect at the event, she said. McPhatter said students can still interact with the neighborhood through University-run monthly FRIENDS neighborhood meetings, a Thanksgiving party in November, a holiday party in December and a barbecue in May. McPhatter declined to say how many people attended the block party last year and whether there were changes in the office’s budget in the last year that could impact its ability to stage community events. Eve Zhurbinskiy, a Foggy Bottom and West End Advisory Neighborhood commissioner and senior, said she and other neighbors were not surprised the block party was not held this year. She said it was most likely because of the lack of staffing in the Office of Government Relations and a smaller turnout for the event in recent years. 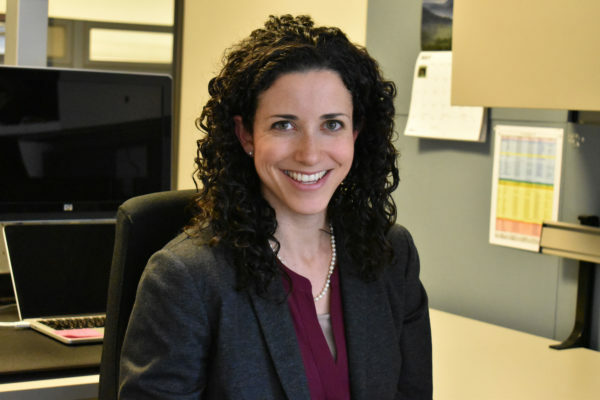 From August 2016 to September 2017, three staff members in the Office of Government Relations known for their work in the surrounding community left the office. None of them have been replaced and there are currently three staff members in the office. “I think it really does leave a gap in the neighborhood because a lot of other neighborhoods do have these festivals and now we’re kind of left without one in Foggy Bottom,” she said, citing similar events like Adams Morgan Day and the H Street Festival in the H Street Corridor. Zhurbinskiy said there has been a decline in community events that bring students and neighbors together. In the past, neighbors and students living off campus have frequently clashed over loud noises and parties late into the night. Community leaders have previously said these events help alleviate tension between neighbors and students by allowing them to interact in an informal and festive environment. Community members have said former University President Steven Knapp took strides to improve relations with the neighborhood and University President Thomas LeBlanc committed to building community ties during multiple neighborhood meetings at the start of his tenure. Patrick Kennedy, the chairman of the ANC, said there’s a general disappointment in the community that the block party is not happening this year. With fewer staff in the office to put on the event, he said the decision made sense. “Given that they have been doing it for a number of years, it was a little bit surprising in that respect and disappointing from my point of view. Hopefully they’ll pick up with it next year and continue from there,” he said. Kennedy added that if there is a long-term trend of fewer community events, there will be even fewer ways that administrators, students and neighbors can informally interact. Christina Farnsworth, a resident living on the corner of H and 24th streets, said at past block parties, she signed up for the law school’s Health Insurance Counseling Project – where she qualified for extra help in her social security and received free blood pressure screenings and information about GW classes. Without the party, Farnsworth said she doesn’t know how neighbors will get information about the resources available from the University. “I’m really surprised that they stopped the block party when they have other things that they really need to work with the community on to build support,” she said. This article appeared in the October 16, 2017 issue of the Hatchet.